Many states have been taking action to help parents save money for their kids’ college educations through enrolling in 529 college savings plans. States, which typically sponsor the 529 plans, have been offering more income tax breaks to encourage families to invest. Fifteen states already match college savings up to a certain dollar amount or provide income tax credits for residents to participate in their plans. Now, Maryland is joining the list, offering an annual donation of $250 for 529 college savings plans contributions by low- and moderate-income residents. According to legislation approved by the general assembly, Maryland residents who enroll in the state’s 529 college savings plans next year could receive up to $250 in matching contributions. The contributions will be offered on a sliding scale, with an individual earning less than $50,000 or a couple pulling in less than $75,000 receiving the $250 grant for contributing $25 to the account. Families earning $175,000 would have to contribute $250 to receive a $250 match and families earning above that amount would not be eligible for the additional contribution. Maryland’s 529 college savings plans often ranked as some of the best in the nation by Morningstar. 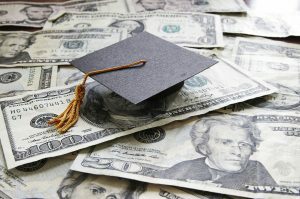 Managed by T. Rowe Price, the accounts offer relatively low expense ratios when compared to other college savings plans, generally ranging from 0.11 percent to 0.80 percent. More than 250,000 people were signed up for the plans in 2015, a 7 percent rise from the prior year. The accounts in Maryland now hold roughly $4.1 billion in assets, up 4 percent from the prior year. The new matching contributions are expected to cost the state about $5 million for the first year and $10 million annually by 2020. State administered 529 college savings plans are gaining in popularity across the nation. According to the College Savings Plans Network, the total number of 529 accounts rose to 12.5 million in 2015, rising 3.6 percent over the prior year. The amount of money families contributed to the plans increased by $25 billion year over year, investing a record $253 billion, and account assets grew by $5.3 billion. These types of plans are needed to offset the ever increasing costs of a college education. For a full-time, in-state student at a four-year public university in 2015-2016, tuition, fees, and room and board cost an average $14,120. At private nonprofit colleges, the average net price was $26,400. Unfortunately, less than 3 percent of U.S. families make use of tax-advantaged college accounts, according to data from the federal government.